Authority for economic, environmental and social topics is delegated by the board through formal mandates and structured scorecard processes involving executive directors and senior group executives. These responsibilities are then appropriately cascaded throughout the organisation. The Company has an established Executive Committee (Exco) which is not a committee of the Board. Exco comprises of twelve members, led by the Chief Executive. Exco meets on a regular basis and guides the Chief Executive in managing the day to day business of the group, monitor business performance against establishing best management practices and functional standards and acts as a medium of communication and coordination between business units, group companies and the board. The Group Chief Executive is ultimately responsible for the economic, environmental and social (EES) topics in Barloworld. In support of the Chief executive, a finance director has responsibility for the economic and governance aspects of the group, while the group executive: Human capital, is accountable for Human capital and the group executive: Corporate Affairs is responsible for environmental and social issues. These individuals report directly to the group CE and to the board through relevant board sub-committees and board meetings. Accountability structures are in place at divisional level, with the divisional CEOs being accountable for the EES and governance topics in their respective divisions with relevant divisional executive support structures. The board approves the group strategic framework including its vision, ambition, values, strategic objectives and relevant key performance indicators and targets. Relevant board sub-committees are involved in this process. The board also approve the group's Worldwide Code of Conduct which informs individual and collective employee conduct. Regular board-subcommittee meetings address these aspects. These enhance and contribute to the relevant board members knowledge of the respective aspects. Ongoing training initiatives and ad-hoc presentations to the board supplement this process. Through the risk and sustainability committee, the board determines the levels of risk tolerance for the group and also ensures that risk assessments are performed on a continual basis by formally reviewing the divisional and group risk registers. This process covers economic, environmental and social risks. The group's comprehensive risk management approach covers operations and risks associated with corrupt and dishonest behaviour. These are analysed and assessed as part of the risk management process. Induction and other staff training programmes address expected behaviour in terms of the company's ethics, codes, policies and procedures. A written risk management philosophy issued by the chief executive and endorsed by the directors states that the company is committed to managing its risks and opportunities in the interests of all stakeholders. Every employee has a responsibility to act appropriately. An ongoing systematic, enterprise-wide risk assessment process supports the group philosophy. This ensures that risks and opportunities are adequately identified, evaluated and managed in each division and their individual and joint impact on the group is considered. Divisional boards and senior managers conduct ongoing self-assessments of risk to identify critical business, operational, financial and compliance exposures and the adequacy and effectiveness of control factors at all levels. The assessment methodology considers severity and probability of occurrence and applies a rating based on the quality of control to rank risks and set priorities. Top risks, elevated to group level, are addressed through action plans with assigned responsibilities. The group risk department oversees strategic direction and continuous improvement in methodology and process, as well as providing technical assistance. Progress on the group's risk management process is reviewed annually by internal audit and their report tabled at the Risk and Sustainability committee. As the group develops new business and expands into new markets and territories, it faces increasingly complex and changing environments. The risk return trade-off is optimised by integrating the risk management process with the group's strategic process and direction. This enhances competitive advantage, growth and employment of capital. The company encourages adherence to the same risk management philosophy and policies for joint ventures and associates. Ultimately the board itself is responsible for, and signs off the group integrated reporting which includes its sustainability reporting. The board is assisted by the audit committee in this regard as well as various board sub-committees. Concerns are reported and addressed as part of the board's ongoing board agenda and responsibility. Areas of immediate concern related to the economic performance and environment in which it operates. Although not always concerns, other aspects align with the group' strategic framework and covered people, diversity and inclusion, sustainability as well as shareholder returns and profitable growth opportunities. Measures to address concerns regarding underperforming corporate entities were also tabled. The board provides insight and guidance on how the issues could be addressed. Each value covers a range of aspects, reflects the group's approach and guides individual and collective behaviours. The Barloworld Worldwide Code of Conduct includes a guide on raising and reporting ethical issues, and actions that violate, or appear to violate the code. The process includes an anonymous Barloworld Ethics line with all the relevant contact details, and states that Barloworld does not tolerate any reprisals by any individual against an employee for raising a concern or making a report in good faith. The company maintains an ethics hotline. This independent and confidential system allows stakeholders to report unethical, dishonest or improper behaviour, including non-compliance with company policies as well as corruption and fraud. All reported incidents are investigated by management and, where appropriate, action is taken. The service is outsourced to an independent service provider. In line with legislation, our well–communicated commitment not to victimise whistle-blowers ensures transparency and promotes ethical conduct. The identity of whistle-blowers is protected by the service provider. The group also has internal grievance procedures which may be followed and which provide for escalation of issues if necessary. (See also Barloworld Global Whistle-Blowing policy). Authority for economic, environmental and social topics is delegated by the board though formal mandates and structured scorecard processes involving executive directors and senior group executives. These responsibilities are then appropriately cascaded throughout the organisation. The board monitors progress and retains authority through regular structured reporting through appropriate sub-committees and direct input. The Group Chief Executive is ultimately responsible for the economic, environmental and social (EES) topics in Barloworld. In support of the Chief executive, a Finance director has responsibility for the economic and governance aspects of the group, while the group executive: Human capital, is accountable for Human capital and the group executive: Corporate Affairs is responsible for environmental and social issues. These individuals report directly to the group CE and to the board through relevant board sub-committees and board meetings. The company is a strong proponent of transparency, best-practice disclosure, consistent communication and equal and timely dissemination of information to shareholders. It encourages active participation by shareholders at general meetings and maintains an investor relations programme which, inter alia, organises for corporate and divisional executives to attend regular meetings with shareholders and potential investors. The company has regular dialogue with institutional shareholders where it believes this to be in the interests of shareholders generally. Feedback from these visits is shared with the board. The chairman routinely offers key shareholders the opportunity of meeting to discuss governance, strategy or other matters. The interests of private shareholders remain paramount and, recognising their needs, our website contains information on a range of investor relations and material issues, including an update on activities, copies of all presentation materials given to institutional investors and further explanation of matters in the integrated report. The Annual General Meeting is normally attended by all directors. Shareholders are encouraged to attend and to ask questions. They also have the opportunity to meet with directors after formal proceedings have ended. The notice of annual general meeting, detailing all proposed resolutions, appears in the Barloworld Annual General Meeting document. Employees are able to bring governance matters to the Board's attention using the Ethics/Tip Offs Anonymous lines. These aspects are addressed in the Governance section of Barloworld 2018 Integrated Report. The board recognises the importance of acting in the best interest of the company and protecting the legitimate interests and expectations of its stakeholders. The board consistently applies the provisions of the South African Companies Act and JSE Listing Requirements on disclosing or avoiding conflicts of interest. Directors are required to declare their interests at each meeting of the board, as well as to recuse themselves when appropriate. Among other measures to deal with conflicts of interest the company has a policy that addresses accepting gifts. This requires that gifts be officially declared and registered on the company's gift register. While retaining overall accountability and subject to matters reserved to itself, the board has delegated to the chief executive and other executive directors authority to run the day-to-day affairs of the company. Annually, the board considers a forward-looking strategic plan presented by the executives. The strategic plan is debated by the executive committee before being consolidated and presented to the board. The board appreciates that strategy, risk, performance and sustainability are inseparable. The board approves and monitors the implementation of the strategy and business plan of the group, sets objectives, reviews key risks, evaluates performance against the background of economic, environmental and social issues relevant to the company and international political and economic conditions. The board sets the tone of the company values including principles of ethical business practice and the requirements of being a responsible corporate citizen. The executive for human capital, and the representatives from group companies managing the social, ethics and transformation (SET) portfolio, including the chief executive officers who retain ultimate responsibility for SET in their respective divisions, are invited to provide reports to the social, ethics and transformation committee from time to time. The risk and sustainability committee assists the board in recognising all material risks and sustainability issues to which the group is exposed and ensuring that the requisite risk management culture, policies and systems are implemented and function effectively. These include business continuity management, occupational health and safety, environmental management and ethical commercial behaviour. The board is responsible for the governance of risk and ensures that the company has an effective risk management system. The company has a written risk management philosophy statement issued by the chief executive and endorsed by the directors. This statement is supported by an on-going systematic, enterprise-wide risk assessment process that ensures risks and opportunities are adequately identified, evaluated and managed at the appropriate level in each division, and that their individual and joint impact on the group is considered. The board bears ultimate responsibility for information technology (IT) governance and has approved the IT governance charter which defines the structures, processes and responsibilities for IT governance. The responsibility for developing an IT governance framework has been delegated to the risk and sustainability committee. The board is responsible for ensuring that the group complies with applicable laws and considers adhering to non-binding rules, codes and standards and recognises the challenges associated with the fact that the group's operations are located in many jurisdictions which are at different levels of maturity and in which the rule of law exists in varying degrees. These aspects are addressed in the Governance section of Barloworld 2018 Integrated. a. Highest governance body's role in identifying and managing economic, environmental, and social topics and their impacts, risks, and opportunities - including its role in the implementation of due diligence processes. The social, ethics and transformation committee's responsibilities include adherence and compliance to the Companies Act, internationally agreed standards, codes of conduct and principles. The board is responsible for ensuring that the group complies with applicable laws and regulations and considers adhering to non-binding rules, codes and standards. The board recognises that the group's operations cover many jurisdictions. These are at different levels of maturity and the rule of law exists in varying degrees with hybrid systems of governance developing in some instances. The board strives to ensure appropriate structures, processes and procedures with appropriate checks and balances are established to assist it in discharging its legal responsibilities and overseeing legislative compliance. Processes are also in place to ensure that the board is kept abreast of significant developments in applicable laws, rules, codes and standards. Compliance risk thus forms an integral part of the company's risk management process and the board delegates to management implementation of an effective compliance framework and associated processes. The board and management understand the company is not only an economic entity but a corporate citizen and, as such, it has a social and moral standing in society with attendant responsibilities. The board is therefore responsible for ensuring the group protects, enhances and invests in the wellbeing of the economy, society and natural environment and pursues its activities within the limits of the social, political and environmental responsibilities outlined in international conventions. Identification of risks and opportunities follows a robust and systematic process. 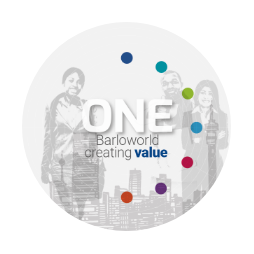 A comprehensive risk management policy is in operation throughout the group, complemented by the Barloworld Limited risk management philosophy. Enhancing and entrenching a risk culture in the group includes dedicated divisional risk assessment interventions at which internal audit and group risk management services are present. Risk management is incorporated into the group's strategic planning process. In line with international best practice, risks are assessed on their probability, severity and the quality of the existing control environment. These measures result in residual risk scores that indicate the importance of the risk and evaluate assessment of progress in addressing identified risks. Risks are detailed, comprehensively assessed and managed through acceptance, transfer, avoidance or reduction measures. Details are recorded in divisional and group risk registers. Formal reporting to the risk and sustainability committee takes place bi-annually and to the board annually. Initiatives to address identified risks include developing and implementing business continuity and disaster recovery plans. These include information technology and communications solutions as appropriate. While this planning is regularly reviewed at executive and board levels, internal audit plays a significant role in reviewing processes and procedures. Management is accountable to the board, through the board committees, for embedding the risk management process in the business. Day-to-day responsibility for the management of the plan rests with the head of risk management. The board meets six times a year, and at each meeting reviews matters relating to economic, environmental and social impacts, including risks and opportunities. Due to the integrated nature of the group’s reporting it does not produce a separate sustainability report. Structured authorisation and review processes are in place which includes board committees, external and internal assurance reviews. All annual integrated reporting, including responses to GRI are reviewed by the directors, and ultimately approved by the board. The Annual General Meeting is normally attended by all directors. Shareholders are encouraged to attend and to ask questions. They also have the opportunity to meet with directors after formal proceedings have ended. The notice of annual general meeting, detailing all proposed resolutions, appears in the Barloworld Annual General Meeting document. The Board, without detracting in any way from its general powers, has appointed Board committees and delegated powers to such committees. The committees report to the board on all critical concerns considered at the respective committee meetings. Further, the chief executive and his executive team, ensure that all critical matters are tabled before the board for consideration. These aspects are addressed in the Remuneration section of Barloworld 2018 Integrated Report. At its 2019 Annual General Meeting, shareholders will be requested to cast a non-binding advisory vote on Part 2 of the Barloworld 2018 Remuneration report. For the period from 1 October to 30 September the Group CEO total remuneration (annualised) was R20.9 million. This includes salary; retirement and medical contributions; car benefits; and bonus. It excludes long-term incentives (see 2018 Barloworld Remuneration report). During the same period, total remuneration paid to 17 416 employees (excludes CEO) was R9 056 million. This includes salaries, wages, overtime payments, commissions and allowances as well as retirement and medical contributions and insurance (see 2018 Barloworld Integrated Report – Value added statement). This resulted in an average amount paid to employees during the period of R519 950. In the circumstances, the ratio of Group CEO compensation to the average of all employees during the period was 40.2. In the remuneration review for 2017/2018 period, the executive committee members, including the Group CEO received an increase of around 6% (in local currency). Similarly, executives and employees in certain business units received salary increases of 6% to 8%, the quantum varying across employee categories, business units and regions of operation.